Dr. Malik received his doctoral training from the University of Toronto and fellowship training at the Research Institute of The Hospital for Sick Children. He moved to Washington University School of Medicine in St. Louis for further training in cell signaling and pharmacology. He was appointed assistant professor in the Department of Physiology and Cell Biology at the Albany Medical College of Union University with a concurrent appointment in Biomedical Engineering at Rensselaer Polytechnic Institute. He rose to professor in 1983. 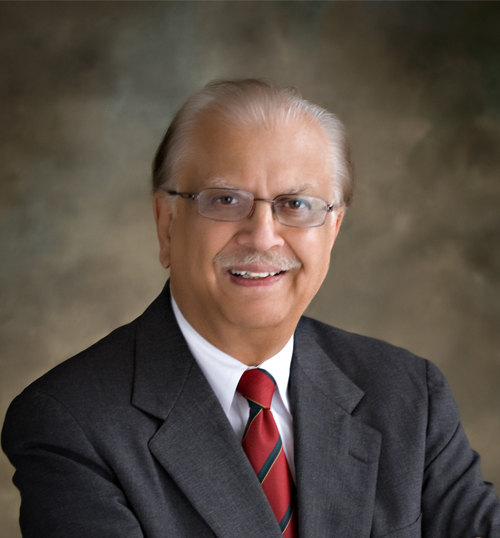 Dr. Malik was appointed professor and head of the Department of Pharmacology at the University of Illinois College of Medicine in Chicago in 1995 and in 2007 was appointed Schweppe Family Distinguished Professor. He has received numerous awards including the NIH Research Career Development Award and MERIT awards and the Research Achievement Award from the American Thoracic Society. Dr. Malik is a respected leader in the field of signaling in endothelial cells. inflammation, and vascular biology. As such he has served on numerous panels and advisory groups at NIH and advisory council of the Max Planck Institute in Cardiovascular and Pulmonary Sciences.